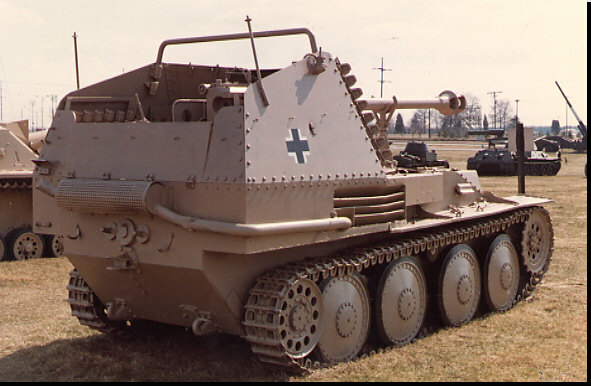 1942 - German SP AT 75mm Gun Marder III "Marten" (Sd Kfz 138) Mounted on Czech 38(t) chassis. One of a group of six first generation tank destroyers. Effective tank destroyer based on simple conversion of a Czech tank chassis. 975 produced. 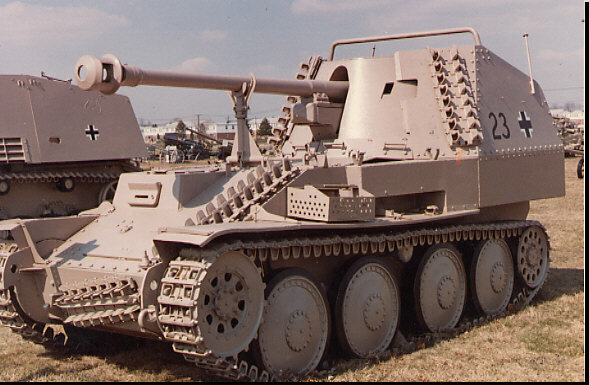 In 1942 all production of the 38(t) chassis was utilized for SP guns. Motor was moved to the middle to allow a rear mounted gun. Served on all fronts.